William Lucas Hinshaw3 [Lucas Hinshaw1, William Henshaw4, William Hanshaw5]. William Henshaw, age 25, born in Ohio; farmer; married within the year. Nancy I. Henshaw, age 19, born in Virginia; married within the year. Sarah Henshaw, age 59, born in North Carolina; cannot read or write. Catharine Henshaw, age 32, born in Ohio. Silas Henshaw, age 18, born in Indiana; farmer. Rebecca R. Henshaw, age 16, born in Indiana. 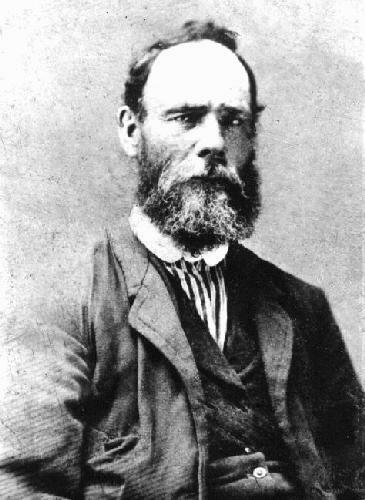 William Henshaw; 3 persons total in household. 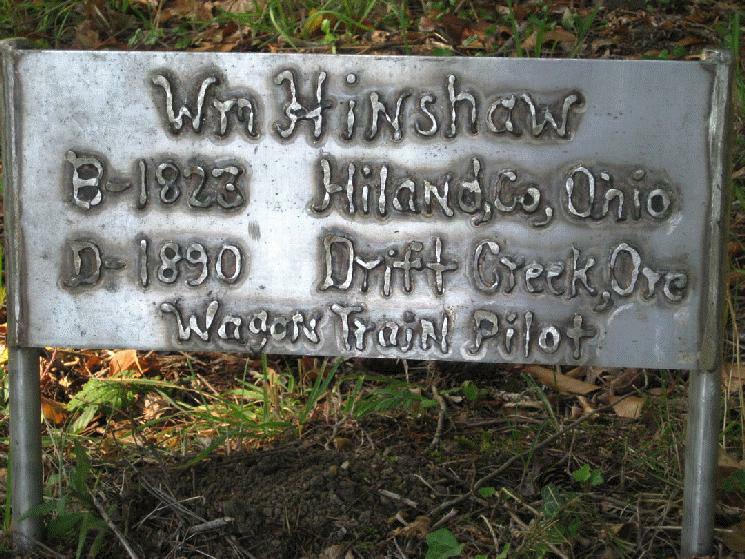 William Hinshaw, age 32, born in Ohio; resident of Iowa 7 years; farmer; native voter; militia; owner of land; 54 acres of improved land, 146 acres of unimproved land. Nancy Hinshaw, age 26, born in Virginia; resident of Iowa 7 years. Silas Hinshaw, age 23, born in Indiana; resident of Iowa 7 years; farmer; native voter; militia; owner of land; 160 acres of unimproved land. Melvina E. Hinshaw, age 22, born in Kentucky. He then married Mary Elizabeth Ledington, Sep 19 1858, Platte County, Missouri.1,3,5,16,17 Mary, daughter of Jeremiah Ledington & Mary "Lucy" Ruth1, was born about 18421, Missouri1 [Kentucky8]. William Hinshaw, age 36, born in Ohio; farmer; $1200 real estate; $250 personal property. Mary E Hinshaw, age 18, born in Kentucky. Lucinda A Hinshaw, age 11 months, born in Iowa. Henshaw, William, age 46, born in Ohio; farmer; $1000 real estate; $500 personal property. Henshaw, Lucinda A, age 11, born in Iowa; works at home; attended school. Henshaw, Joseph C, age 7, born in Iowa; works at home. Henshaw, George W, age 5, born in Kansas; works at home. Henshaw, Rebecca R, age 36, born in Indiana; house keeper; cannot read or write. See also: William F. Hinshaw who married a Rachel in 1866. See also: Ellis Hinshaw who was also married in Platte County, Missouri about this same time. See also: Lydia Henshaw who was also married in Platte County, Missouri about this same time. 1850 census, Madison County, Iowa; page 140A, line #11, dwelling #729, family #784. 1856 Iowa state census, Union Township, Madison County, Iowa; http://www.ancestry.com. 1870 census, Earlham P.O., Madison Township, Madison County, Iowa; roll M593-407, page 71B, line #8, dwelling #92, family #92. Grave marker photo courtesy of Anne Trussell (). 1850 census, Madison County, Iowa; roll M432-187, page 140A, line #11, dwelling #727, family #784. 1851 Iowa state census, Madison County, Iowa; http://www.ancestry.com. 1854 Iowa state census, Union Township, Madison County, Iowa; http://www.ancestry.com.